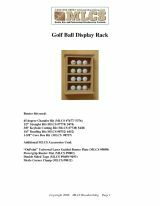 Build a flag display case, a shadow box or other display case with free woodworking plans. Use your finest skills and select a beautiful hardwood or exotic wood to create a stunning piece to hold your cherished collection or heirloom flag. Display case plans include shelves, cabinets and freestanding floor stands. Build your own flag case. Video for building a flag display case. Videos for building a shadow box. Show off your treasures by building a glass front cabinet. Free plans are nice, but if you want to buy a display plan instead, check out the variety listed below. Individual display plans are available as well as books. Build this flag case to store the flag and the memory of a loved one.